A new website starkly highlights the divergences from Biblical teachings in modern church practices. Christianity recognizes no color in its followers. We are all equal in the eyes of God, no matter our race, skin color, education, employment, wealth, or anything else to do with this world. See, for example, Romans 2:11, Acts 10:34-35, Colossians 3:11, Galatians 3:28. And the Christian church is charged with caring for its members, as well as with spreading God’s word broadly around the world. The Church and our faith is as egalitarian and fair as is possible, and we would wish such attitudes to be broadly shared by everyone in the world. This much, probably all Christians of all types can agree. But. And, yes, sadly, there is a but. Some doubtless well-meaning people have re-prioritized the church’s meaning and message. In an attempt to get more followers, they have made the terrible mistake of changing their churches to match what godless people wish a church to be, rather than encouraging those people to become like God wishes them to be, and joining God’s church as he wishes it to be. They find it easier to conform to shifting social values than to remain moral compasses of righteousness in a world that is increasingly in desperate need of such anchors and influences, even if such conformity is clearly contradicted by Biblical teaching. 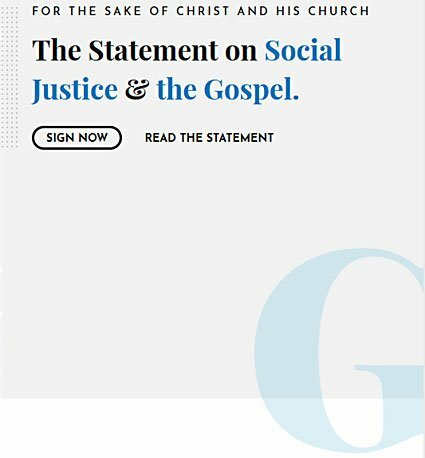 This is an issue that has been evolving and becoming more pressing, and finally now is bursting onto the public stage in the form of a new website that attempts to clarify where and how the concept of “Social Justice” fits within our Biblical and Christian obligations. We urge you to read through its full list of Affirmations and Denials, and if you feel they align with your values (as we feel ourselves) please consider adding your name to the list of signatories. We, and this church, have already done so. As backstory, here is the start of an excellent series of articles on the problem of incorporating “social justice” into the Church by noted scholar and preacher, John MacArthur. Please read his complete article series, which include some astonishing examples of major shifts from basic Biblical teachings by so-called “leading figures and above reproach” in the Christian world of the last 50 years or so (eg Billy Graham). This current debate is akin to the battle surrounding the Reformation in the 16th century, a cleansing and a return to the basic principles of Biblical teachings. We’re not picking sides on these issues, because we don’t need to. Our choice is, and always will be, for the plain language and meaning of the Bible itself. See 2 Timothy 3:15-17 and 2 Peter 1:19-21. It is not for any of us to decide to move away from the Bible’s teachings, no matter how ‘convenient’ it may be to do so. Indeed, it is specifically forbidden.